The Tax Cuts and Jobs Act, which was signed into law by President Donald Trump in December, is projected to push GDP growth higher than previously expected. Growth is forecast to rise to 2.7 percent in 2018, according to a report from the International Monetary Fund. The changes from tax reform are expected to add to economic growth through 2020 so real GDP will be roughly 1.2 percent higher than it would be without tax reform. 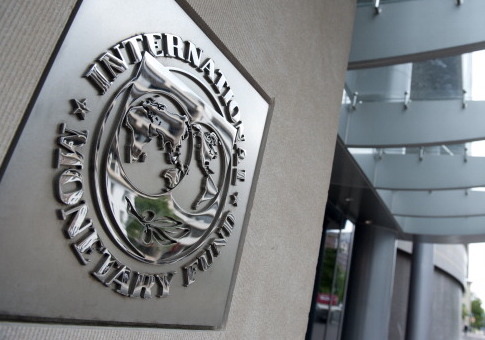 The IMF previously projected that GDP would increase by 2.3 percent in 2018 and 1.9 percent in 2019. The group now projects GDP will increase by 2.7 percent in 2018 and by 2.5 percent in 2019. "The growth forecast for the United States has been revised up given stronger than expected activity in 2017, higher projected external demand, and the expected macroeconomic impact of the tax reform, in particular the reduction in corporate tax rates and the temporary allowance for full expensing of investment," the report said. "The tax reform is therefore anticipated to stimulate near-term activity in the United States." The findings also show that most of the stimulus can be attributed to the reduction of the corporate tax rate to 21 percent. "The U.S. tax policy changes are expected to stimulate activity, with the short-term impact in the United States mostly driven by the investment response to the corporate income tax cuts," the report states. "The effects of the package on output in the United States and its trading partners contribute about half of the cumulative revision to global growth over 2018-19." The study also finds that the tax reform in the United States and the fiscal stimulus that flows from that will also spillover favorably into America's trading partners—particularly Mexico and Canada. The International Monetary Fund also estimates that higher domestic demand will mute the response of inflation and, in turn, the Federal Reserve will have a faster pace of interest rate hikes. In addition to growth in the United States, the IMF found that global growth increased about 3.7 percent in 2017, which is 0.1 percentage point higher than was previously projected. This growth is expected to continue into 2018 and 2019, as global growth is revised up to 3.9 percent for these two years. "The recent U.S. tax legislation will contribute noticeably to U.S. growth over the next few years, largely because of the temporary exceptional investment incentives that it offers," said Maurice Obstfeld, economic counselor at the IMF. "This short-term growth boost will have positive, albeit short-lived, output spillovers for U.S. trade partners, but will also likely widen the U.S. current account deficit, strengthen the dollar, and affect international investment flows."